Allowing for the integration of data, computation, visualization and other components. Traditional processing pipelines are commonly made up of custom UNIX shell scripts and fragile custom written glue code. 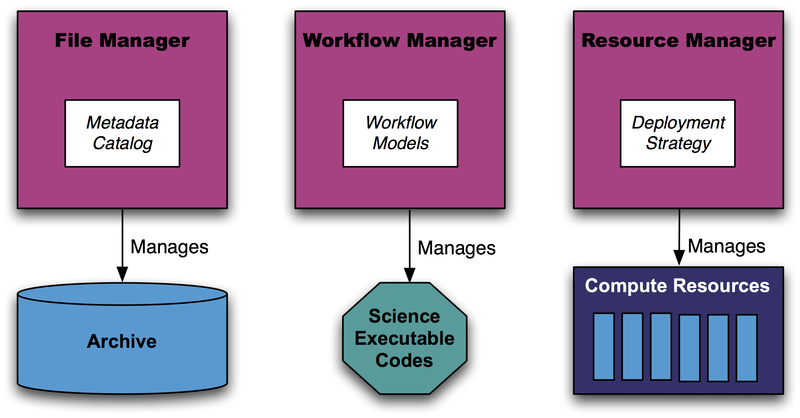 Apache OODT uses structured XML-based capturing of the processing pipeline that can be understood and modified by non-programmers to create, edit, manage and provision workflow and task execution. OODT also allows for remote execution of jobs on scalable computational infrastructures so that computational and data-intensive processing can be integrated into OODT’s data processing pipelines using cloud computing and high-performance computing environments. Apache OODT facilitates the integration of highly distributed and heterogeneous data intensive systems enabling the integration of different, distributed software systems, metadata and data. OODT spans disciplines and enables interoperability among data agnostic systems in any field. Developers can build highly distributed, scalable, data platforms that can process even the largest amounts of data, without breaking a sweat.